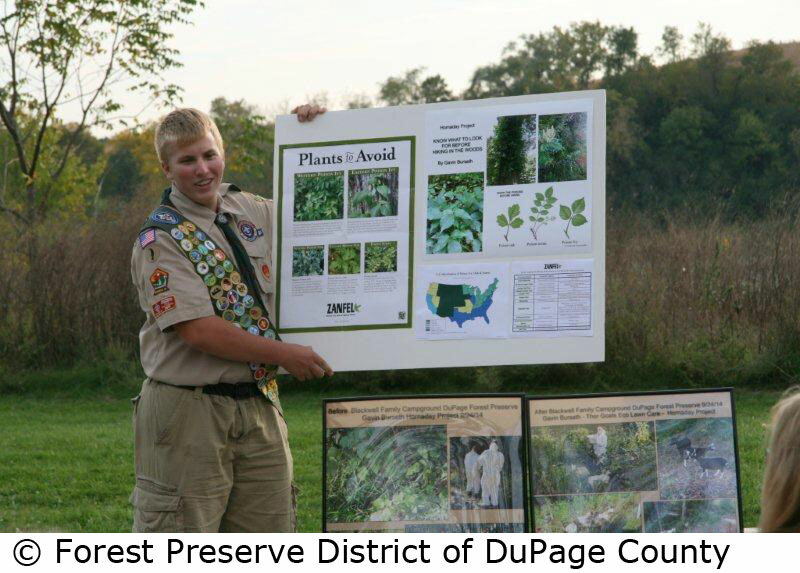 How did one 16-year-old Eagle Scout, working toward scouting’s acclaimed Hornaday Award, accomplish an eco-friendly volunteer project and create a connection with Illinois' Forest Preserve District of DuPage County to the benefit of all? Eagle Scout Gavin Burseth initiated this entire project by mailing me a written proposal to bring goats to graze and clean out an area of the Forest Preserve District overrun with poison ivy. The offer was a welcome surprise and Gavin turned out to be a remarkable volunteer. It’s a wonderful story—Gavin’s project was fascinating and my colleagues and I learned valuable lessons about the enormous potential of teen volunteers. I’ve invited Gavin tell you more about what he has done and why, so Part 1 is his story in his own words. In Part 2, I offer my volunteer management perspective. Conservation is a part of being a Boy Scout. We enjoy camping, hiking, and learning about the environment at every level of scouting. Most people know about the challenge of becoming an Eagle Scout but few are aware of a special award for conservation that goes beyond earning Eagle. It’s called the Boy Scouts of America William T. Hornaday Award and my goal is to achieve it. This article shares one of the significant service projects I did to fulfill the requirements. It all started in 1914 with Dr. William T. Hornaday, director of the New York Zoological Park and founder of the National Zoo in Washington, D.C. Hornaday was involved in conservation and saved the American bison from extinction. He established the Wildlife Protection Medal for wildlife conservation and habitat protection. When Hornaday died in 1937, the award was renamed after him and the Boy Scouts of America added the theme of environmental awareness. The Hornaday medal is a very hard award to receive; only 1,100 medals have been awarded in the past 80 years. Compare this to how many earn the rank of Eagle Scout: 57,976 in 2012 alone. To qualify for the Hornaday, Boy Scouts need to complete three conservation projects that are planned with scientific principles and increase public awareness about conservation. They also need to significantly contribute to conservation and environmental protection. I knew from my earliest days as a Boy Scout that I wanted to get a higher award than Eagle Scout. I knew I would love to try to get the Hornaday Award because the process was totally different from achieving Eagle rank and the three required projects had to deal with conservation. I have been working on the award for two years. To receive the medal, I first needed to earn additional merit badges in conservation: Energy, Environmental Science, Fish and Wildlife Management; Soil and Water Conservation; Fishing, Geology, Mammal Study, and Nature. I did the three required service projects in three different areas. Each project needed research and background on how the projects could benefit the environment for a long period of time. My first project involved storm drain stenciling for Beaver Pond in Bartlett, IL., labeling the pond’s drain pipes to say: “NO DUMPING - LEADS INTO WATERWAYS.” I did this project to inform the public that chemicals that go into storm drains do not go to a chemical refinery, but into ponds, rivers, and lakes—which could be your drinking water. My second project involved water testing with the Illinois Environmental Protection Agency, again for Beaver Pond. I have been testing the water quality twice a month. I did this project because I saw that this project could show me if my first project had an effect on the pond’s water quality. I knew I wanted my third project to be on invasive species control—with my goats. My brother Derek Burseth and I run an eco-friendly business called Thor Goats ECO Lawn Care. Goats are amazing at getting rid of invasive species and, at the same time, bringing back native vegetation to the property and fertilizing the area. 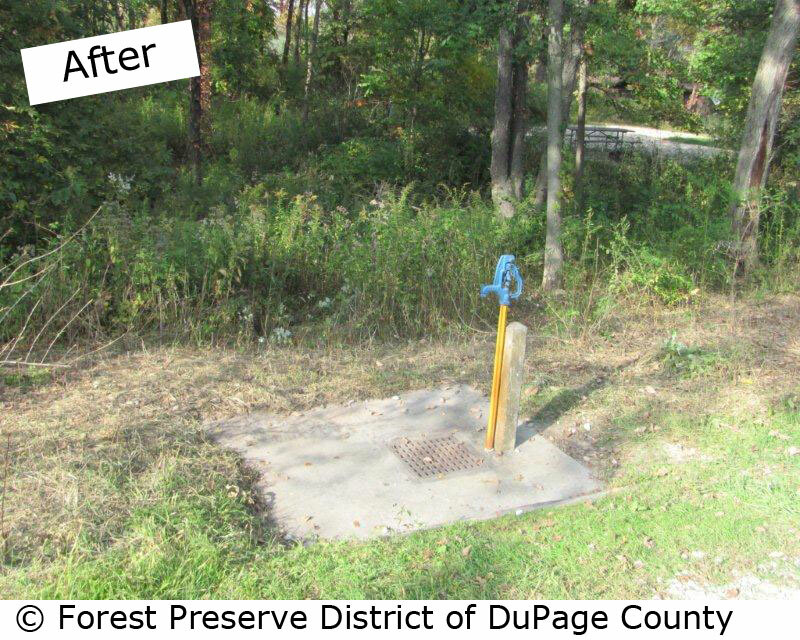 This is the project that introduced me to the Forest Preserve District of DuPage County. 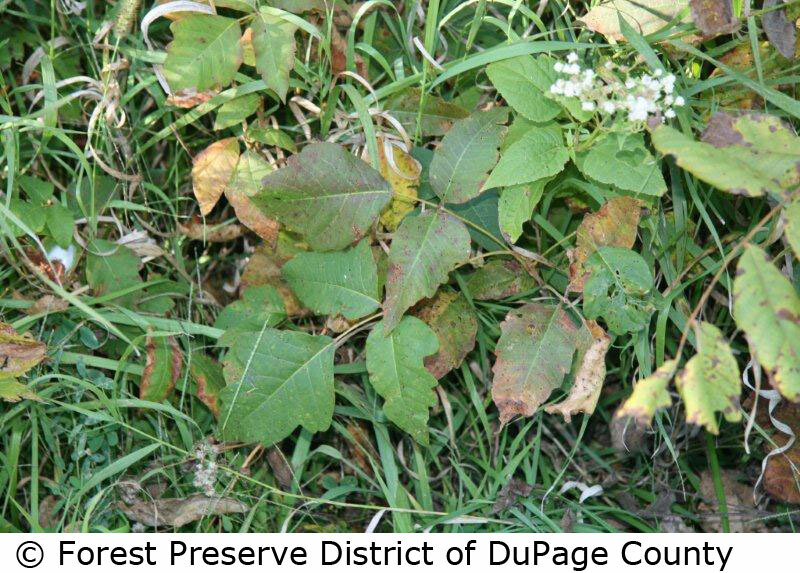 One day, I noticed that DuPage Forest Preserve was building a dog park but that invasive species were growing all over it, especially poison ivy. I knew goats could help! So I sent my proposal to Chris Linnell, the Forest Preserve’s volunteer services supervisor. I explained about the Hornaday Award and wanting to use my goats to get rid of invasive species. In my proposal, I stated how goats were better than using chemicals to get rid of invasive plants; how using goats is an environmentally friendly way to remove unwanted vegetation; that using goats would save the Forest Preserve money, help me with my award, and educate people on what goats can do. Chris arranged a meeting between me and the Natural Resources staff to discuss my proposal. I was told I was going to meet two or three staff members, so I was very surprised when I walked in and saw about 10 of the very highest staff members in the department. During the meeting, I handed out my brochure on Thor Goats ECO Lawn Care and talked about all the things goats can do to benefit a property. Goats can work any kind of property, even land that is too steep or rocky and difficult for equipment access. I told them how goats were the most eco-friendly way to get rid of invasive species. My brother and I are also eco-friendly, using solar panels to power the portable electric fence that we bring on each property to contain the grazing goats and keep away predators. I answered a lot of questions from the staff. 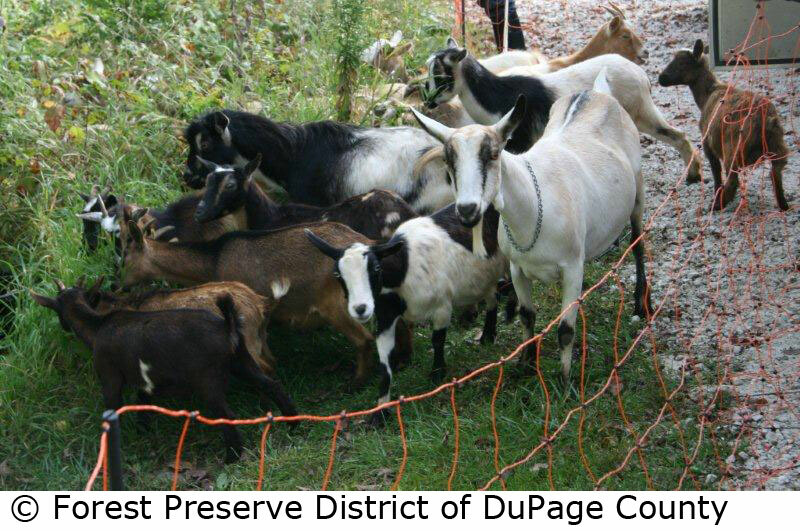 The meeting ended with the DuPage Forest Preserve officials interested in my proposal, with a plan to select possible properties the goats could work. The Natural Resources staff picked two possible locations. The first site was Pratt’s Wayne Woods. When looking at this property, I saw that it would not be a good choice for my Hornaday Award because the public would not fully benefit from it, which is what I wanted for the project. So Chris suggested a meeting with Land Management staff at Blackwell’s Family Campground, which had extreme poison ivy growth, some was about waist high. Justin Frederick, director of Land Management, told me that a lot of campers were complaining that the water pump was too close to poison ivy and that some campers would accidentally step in the poison ivy. I knew this was the right site to work for my award because this property could benefit all the campers who stayed at Blackwell’s Family Campgrounds. This site also was great for the goats since there was a steep slope. Mr. Frederick and I had lots of meetings to plan for the day of the project. My brother and I decided that we would conduct the project on a Wednesday when the grounds were usually empty to avoid having any campers petting the goats. My brother was a big help for this project, taking time off from his busy schedule to come to every meeting with the DuPage Forest Preserve. We scheduled the project for September 24, 2014. Two days before, on September 22, I wrote and sent out my own press release to the Daily Herald and ABC News-Chicago to see if they would be interested in covering my project with the goats. I was not expecting a call the next day from both news outlets! I also found out that theChicago Tribune was interested in doing an article, even though I didn’t send them a press release. On Wednesday, September 24, my brother and I did our morning chores, milked the goat and loaded them into the trailer. We arrived at Blackwell at 9:00 a.m. and let out 38 Nigerian Dwarfs and Alpine goats to graze. For the whole day, the goats kept on eating away at the poison ivy and other invasive plants, like buckthorn and honey suckle. Goats are not like other herbivores. These tiny critters can eat poison ivy, poison oak, and poison sumac, which other animals cannot do. By 7:00 p.m., the goats had cleared the campground free of poison ivy. 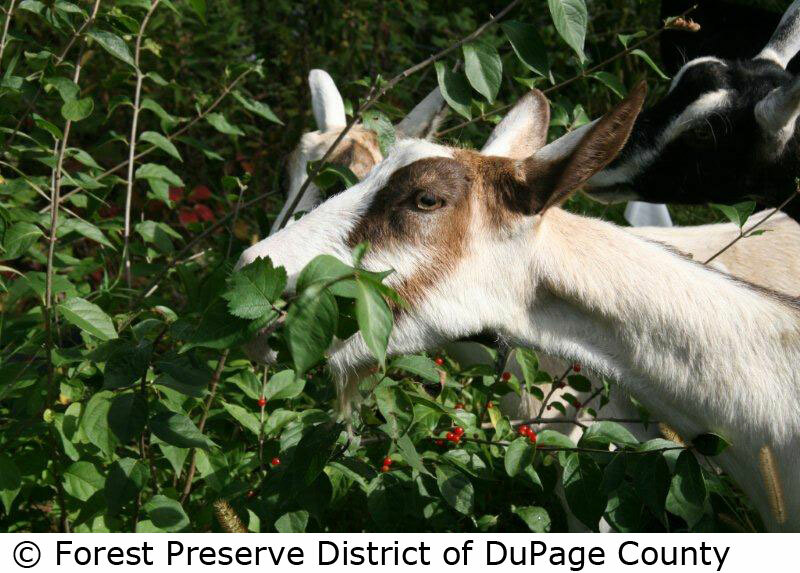 All the DuPage Forest Preserve staff—and the news reporters who showed up—was extremely surprised that the goats got rid of the poison ivy in such a short period of time. ABC News-Chicago aired a television segment, and both the Chicago Tribune and the Daily Herald carries stories in their first sections. Then the Associated Press picked up the story, so it went across the U.S. Reporters from the Elgin Courier, the Bartlett Examiner, and a magazine later interviewed me. Even the U-46, my local school district, created a press release. I have also received copies of the article from people across the nation who sent them to my high school. On Saturday, September 28, I conducted the educational part of my project for campers and members of a local Cub Scout troop who were camping at Blackwell Family and Youth Campgrounds. I explained to them what poison ivy, poison sumac, and poison oak looked like and what it does to the skin if you touch it. I told them how the goats were the best eco-friendly way to get rid of unwanted vegetation. My presentation included pictures and a brochure. I have also given a talk to the Bartlett Rotary Club with a PowerPoint presentation. Everything worked out great. The weather was great, the goats did their job, and the campers were glad to have the poison ivy gone. I was able to do my proposal, and the DuPage Forest Preserve was happy with the results. It is important for volunteers looking to do a big job to know that they need to be prepared, and to follow through with what needs to be done. The American dream is that you can be what you want to be, and it is amazing that a government organization like the Forest Preserve District of DuPage County would help a 16-year-old achieve his dream to work on the Hornaday Award. There are many benefits to being a volunteer. By sharing my time and talents to solve a problem, I gained pride, satisfaction, and a sense of accomplishment. Developing the proposal and conducting meetings was a great way to develop my skills. This project gave me the opportunity to meet people from the DuPage Forest Preserve whom I would not have met otherwise. When I volunteered, I gained lifelong learning skills that allow me to feel good and valued, and at the same time contributed unique skills, experience, and perspective. It is important for volunteers looking to do a big job like this one to know that they need to prepare, know what they are talking about, and follow through with what needs to be done. By working towards the Hornaday Award, I have made a difference for the people who use the Blackwell’s Family Campground. I was able to meet my personal goal and at the same time be an effective volunteer by helping the Forest Preserve District. 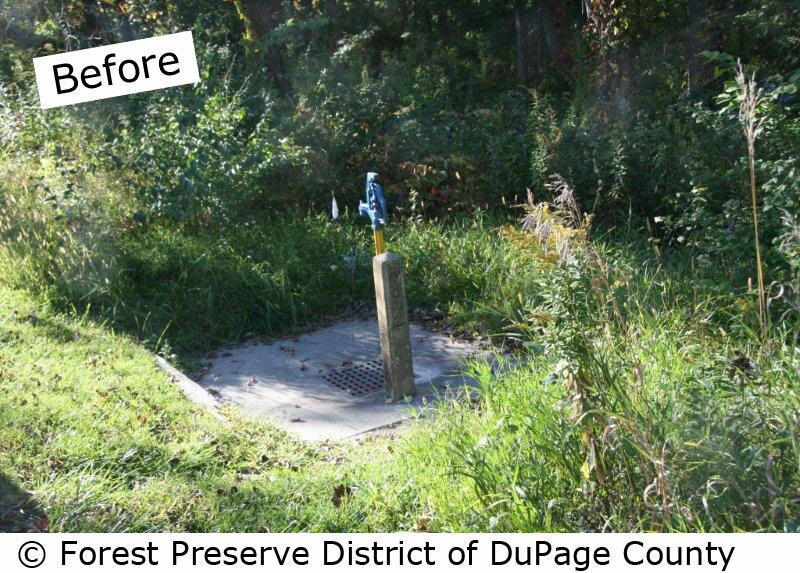 The Forest Preserve District of DuPage County (FPDDC) has a vibrant volunteer corps doing all sorts of things. Over time, we have designed a series of steps to support Eagle Scout candidates as they investigate project options. The Boy Scouts are referred to me in Volunteer Services so that I can interview them and assist staff in the first steps of the process. I have discovered staff is more amenable to projects they themselves develop for a project list I offer to the candidates, thereby controlling the scope of the project from the onset and working within management plans of the organization. This method has saved the Boy Scouts time and proved much more productive for both them and FPDDC staff. All concerned departments vet the “Eagle Scout Project List” and we approve these as viable projects for our candidates to the program. Scout-initiated ideas have not been discouraged. If a project idea is suggested that is beyond my experience, I will contact our staff in hopes that it might be approved. On occasion, these projects have been accepted, supervised, and implemented with enormously successful results. The majority, however, have been less likely to be adopted for a variety of reasons: FPDDC Master Plans, site management restrictions or practices, equipment limitations, etc. In my work with the local Boy Scouts of America councils, they have agreed that the “Eagle Scout Project List” insures better success for their members and have agreed to our protocol. However…I found my normal mode of operation challenged when a letter arrived from Gavin Burseth proposing a goat-grazing project for the Forest Preserve District. I am fundamentally a traditional volunteer administrator, thanks to my education and experience in volunteer management. But it took a 16-year-old and 38 goats to make me realize that “no” does not necessarily have to be the automatic answer to an unusual idea. Could it be that a “maybe” brings the innovative, creative thinking that can stimulate interesting opportunities into the life of our volunteer programs? It did in ours! Here was a proposal to fit a special niche, but did we even have that niche? Just because you don’t see the possibilities of a project, doesn’t mean someone else in your agency has and you didn’t know it was even contemplated! Maybe there’s a puzzle piece you’re missing that makes it all fit together. So I decided to advocate for Gavin’s proposal by asking different departments about it. If I hadn’t asked, I never would have fit the pieces together, made the connections, or for that matter known the pieces even existed in this environment. For a project so creative, could we really give this proposal the typical “no,” the answer other teen volunteers would get regarding standard project practices? Maybe we all need to think “outside the box” even if the box isn’t square. Is it a rectangle? Or a pyramid? Or maybe it’s a soap bubble? I firmly believe that we need to be open and listen to the voices of youth; giving them a chance to speak with conviction and clarity is valuable for everyone and can educate all of us. Sometimes we need to take a risk to open our eyes and ears to possibilities, especially from a young voice. When our staff first met Gavin, they were extremely respectful of him and wanted to know more about his proposed project. I was amazed at how open they were to his plan for his 38 goats. You could see the staff think about how this experiment might help solve their invasive species problem. They hung on every word, asked pertinent questions, and gave Gavin the attention of an expert as they mulled their options. Here was a young volunteer, offering his expertise to an older, seasoned group of natural resources professionals with an exciting prospect. As for me, I listened eagerly with my volunteer management questions racing through my head. Could we make this work? If not with this department, then where else? I was hopeful but admit that a bit of the regimented volunteer manager stayed watchful at the periphery. This project was pretty revolutionary, not only for our field staff but also for me! A conversation with staff about an innovative solution to a real problem, as well as being economically and environmentally friendly. A lively, inter-departmental discussion about how a small idea might, just might, grow into something that we could use…perhaps not in just one way, but several ways…and all to further our environmental ethic. A cleaned-up campsite, as well as a great deal of positive publicity and goodwill for our work. No one expected the remarkable, positive press coverage for the FPDDC that Gavin was able to generate. 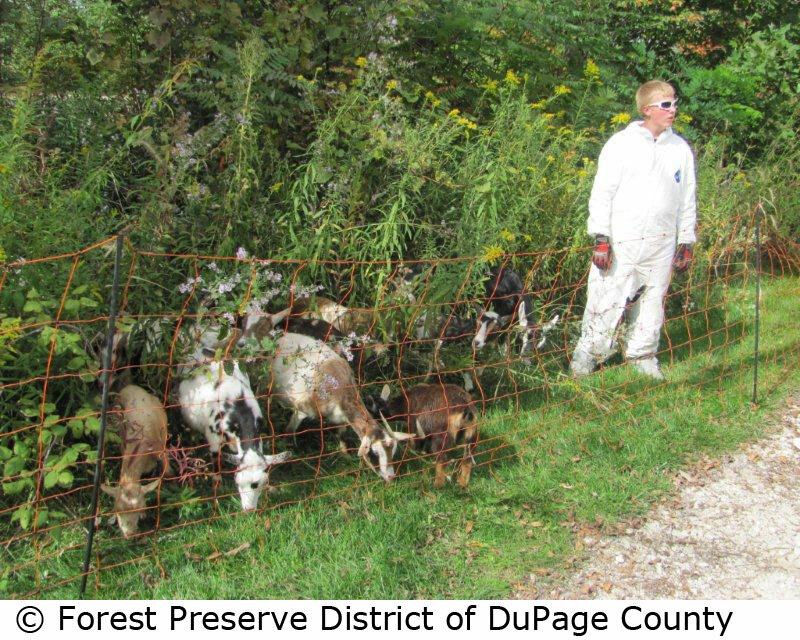 Almost a year to the day before our project, nearby Naperville Park District had used goats for a similar activity. The media enjoyed their story of the environmentally friendly removal of invasive plants, not to mention cost-efficient means to clear an area without using chemicals or equipment. Why would another goat grazing project seem novel a year later? It was our good fortune that Gavin was so effective in catching the attention of the press, sharing the story of a young man who owned goats with his brother and whovolunteered their efforts (and the goats as well). Gavin created an experiment to open the eyes of the FPDDC and other similar agencies touting their environmental commitment. And, ultimately, it was Gavin’s efforts to achieve the Hornaday Award with this unique conservation project that made the story fascinating to local news outlets around Chicago and to news outlets around the world! With 20 years of volunteer administration experience, who would have thought there were still such giant lessons to be learned? But learn I did, and I’m happy to offer them to anyone leading volunteers in any setting. Lesson 1: Consider the message, no matter who the messenger may be. Though youthful and hopeful, this Eagle Scout’s project was so unique; our staff listened and found great merit in it. I’ve had a number of Scouts come to me with proposals and, as I’d hand them off to various staff, I knew some projects did not have the impact that would qualify for the project to gain approval. But I’ve learned our staff doeslisten and they are willing to explore a proposal if it works within current management plans. When it came to Gavin, there was something about this project and this Eagle Scout that intrigued everyone who encountered it. Lesson 2: Don’t be afraid! Experiment! Listen and ponder and the next step could be remarkable. An idea may be outside the volunteer management norm, but can still offer great value. So often we are hemmed in by what we know works and we don’t challenge ourselves to redefine those boundaries. Why not? Look at the options from a different perspective. It might give a new view on an issue we’ve been struggling with for a long time. Often the old standard answers inhibit us: “it takes too much time,” “staff won’t approve,” “it’s too risky,” “we can’t make this happen,” or “what will the leadership think?” I understand how easy it is to be conventional and cautious. As it happens, I am grateful to have had experience with goats and animals in general through a previous job with Chicagoland's Brookfield Zoo and All Seasons Dairy in Springfield, MO. This put me one step closer to understanding the possibilities of the goat project. The question wasn’t if the project could be done, but how could we make it happen to the benefit of FPDDC staff and visitors? Lesson 3: Don’t let your policies and procedures diffuse your dreams! Making sure that the solar-powered electric fence only had a mild enough shock to discourage but not injure goats or people. Another factor was whether this project would be considered a “contract.” We were asking assistance from an outside resource though payment was not required. Could we approach this project differently from agreements with other businesses? Ultimately, further investigation proved that because the project was an altruistic volunteer pilot project, it would require only waivers for those participants involved (not for the goats). That was all that was needed. Gavin had taken the Boy Scout motto “Be Prepared” to heart, and he and his brother answered all questions and provided all the materials as requested. Lesson 4: Don't second guess. The value of a volunteer’s effort creates enormous ripple effects. The story that circled around the world was not just about goats eating poison ivy and assisting with removal of invasive, irritating plants at a family campground. It was also the story of a young volunteer making a difference. As volunteer resources managers, we all know this story. We thrive on it. We preach it. But this project had a value far beyond the success of hungry goats. It was about a 16-year-old volunteer who wanted to help us in a unique and profound way.